"We don’t need to rewrite the Constitution of the United States of America, we need to re-read the Constitution and enforce the Constitution. … And I know that there are some people that are not going to do that, so for the benefit of those who are not going to read it because they don’t want us to go by the Constitution, there’s a little section in there that talks about 'life, liberty and the pursuit of happiness.'" 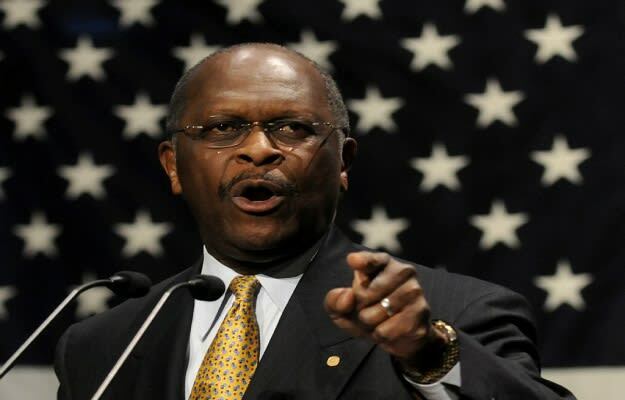 Cain might actually want to count himself among those who need to re-read the constitution. The "life, liberty and happiness" bit isn't found in there—that comes from the Declaration of Independence, a completely separate historical document.